Tablets are a great device that bridged the gap between laptop and smartphone and it doesn’t seem to be getting down that soon. With the increasing demands of customers, phones are getting bigger and people with a tablet to buy are settling down for screen size as big as 12-inch. However, if we look at the tablet market, it doesn’t have much to offer us for a screen size bigger than 10-inch and people who want to buy the best large tablet with 11 or 12-inch screen size often have to settle down for pricey laptop/tablet hybrid which offers much more performance than needed. There are hardly few large tablets available in the market that feature 12-inch screen size, although after researching for hours we at Tablet Under Budget have made this well-researched list of best large tablets for our readers who are planning to buy one. What Actually Are Large Tablets? • Well, there are few things which you should know before buying a large tablet. Having a large tablet doesn’t particularly mean big screen, but a powerful processor, long battery life and better accessibility. • Along with the massive screen, you get better viewing angles which you can utilize for watching movies or working on two different applications side-by-side to maximize productivity. 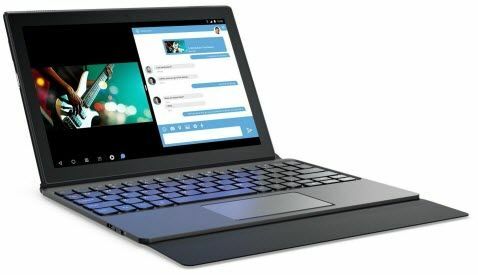 • Moreover, you can also connect a keyboard to work on the go which is surely a plus point of having a large screen tablet and in some cases, these tablets can also replace your bulky laptop. 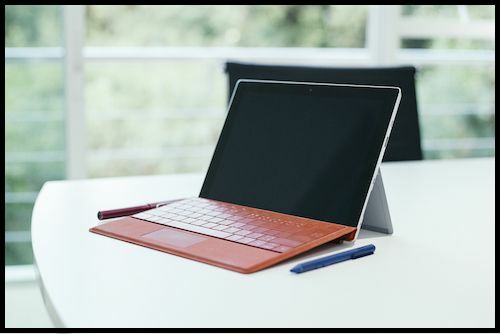 • The most capable iPad Pro & Microsoft Surface Pro 4 are our most recommended large screen tablets as they serve every major purpose with their best-in-class performance and unrivaled design. If you are even remotely aware of Apple’s 10.5 iPad Pro 2017, you can easily grasp the concept of iPad Pro 12.9″. Apple, with this edition of iPad Pro, focused on a single regime – “Make Everything faster”. Bottom-line, iPad Pro 2017 is definitely an improvement, but no way near an innovation. Though we do have to wait till a more stable version of iOS 12 comes through, (which can be any day now) until we unravel the true capacities of this device. The hardware of this version is a 10/10 improvement. Preserving the sleekness, lightness and compactness of its predecessors, Apple has found a way to add more storage options, better cameras and a bigger edge-to-edge display to iPad Pro 12.9″ altogether. With an impressing upgrade in refresh rate (for exceptional cinematic experience), Apple has loaded this device with an A12x Fusion chip for fluidity in performance with 4 GB of RAM. To make it even more yearning, Apple threw in a juicy seven-core GPU as well for 40 percent faster graphics performance. The specs are perfect for all Apple lovers, looking for a tablet strong enough to replicate PC performance. Apple never ceases to amaze us with their fine, design capabilities. The enhanced responsiveness of Apple Pencil, adds much value to media and graphics manipulation and proves to be a perfect accessory for exploring your creative side. Mediocre backup for a high price and takes long periods of time to fuel up. The absence of accessories (keyboard and Stylus) in the box, adds further outlay to the already steep pricing. Priced around $799, the iPad Pro 2018 doesn’t really generate positive vibes for buyers with a mediocre budget. Even for the price, it cannot be considered as a ‘complete’ PC alternative. • Should You Buy This? If you are an Apple product hoarder with money to spend, you won’t be disappointed. But if you are looking to make every buck worth the performance and power, there are other better competitors within the same price line. This version of the iPad line is the 6th-gen variant of Apple’s previous products in the category. The expectations you should have from this device are the same as you should have from any ‘basic upgrade’. I say this because we all know whatever there is to know about iPads and while this is a step up from the previous releases, it certainly isn’t a ‘must have’ gadget. Let’s just hope Apple put more efforts in bumping up the features than they did in naming this model ‘iPad’. But just for my reader’s ease, I am going to call it ‘iPad 2018’. The looks of it are quite similar to Apple’s 9.7 iPad pro. The similar lustrous and elegant chassis with chamfered and curved edges finished with a matt touch. 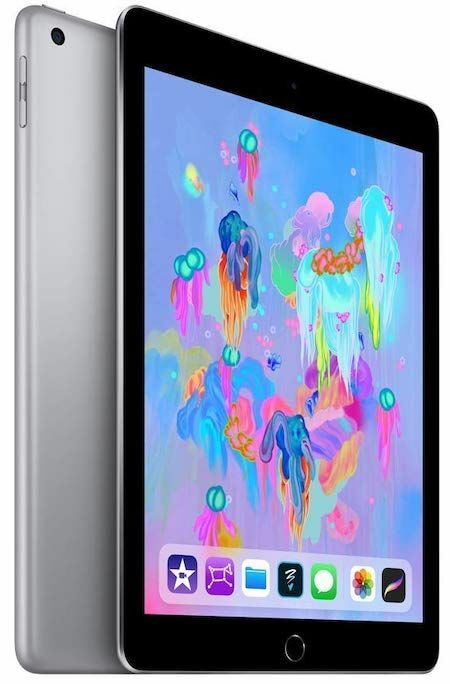 iPad 2018 possesses a crystal 9.7 inches display and weighs around 0.9 pounds. Considering it is extremely light-weight, there isn’t much room for innovation but you’ll be surprised how smooth the UX feels even with tight hardware integration. The brighter display is what gives this version an edge, which according to Apple is 25 percent more than that of the standard iPad Air 2. Diving deeper, iPad 2018 has an A10 Fusion 64bit processor with M9 co-processor, which falls pretty much in the middle of standard iPads. The 32 GB storage won’t provide you much flexibility but is good enough for basic activities. A fast-paced 2GB RAM can uphold several apps and games and ensure smooth transitions. The 8MP rear-facing camera and 1.2MP front-facing camera is quite good for the price, but can’t top the fantastic Retina Flash features of the iPad Pros. Moreover, it now supports Apple Pencil which is a major improvement over the previous model, this will attract a lot of college students and digital artists who are wanting to do their everyday tasks on a tablet. Its one-sided speakers can cause major distress in public or noisy areas. Plus if you are using it after iPad Air 2, it won’t be hard to miss its sharper display. The price range starts from $340, that is for 32 GB and goes up with the addition of memory. Not bad for half the price of iPad Pro. For once, it is quite affordable, considering it is an Apple product and that their iPad Pro line has largely been targeted towards consumers with deep pockets. But if you currently own an iPad 2017 Model, the switch won’t make any sense unless you want the Apple Pencil support. After simply skimming through its specs, I instantly concluded this is what can rightfully be called a next-gen tablet. Praised mostly because of its gigantic memory, Microsoft really went overboard while upgrading their previous Pro models with Surface Pro 6. Without question, the highlighting features include the high-resolution and responsive display, a sturdy battery and a 128GB SSD that further peaks interest of potential buyers. Topped with a fanless design, this marvel easily falls under the category of best large tablets. Weighing 1.69 lbs, the robust machine comes with a lightning fast 8GB RAM, Intel Core i5 Processor, and a 12.3 PixelSense display. These specs weigh up to the name of Windows hybrid PCs and it looks like Microsoft just amped up the iPad Pros. Starting from over 600 dollars, the device lacks certain aspects as well. The absence of Ethernet, a USB- Type C port and a Type Cover keyboard may force you to re-think your choices. Nothing hurts a shopper more than falling in love with a product and be thrown back by its steep price tag. The Microsoft Surface Pro 6 might be a digital prodigy but no good thing comes cheap. You can get the device for around 800 bucks, but considering its positives, this sure is a good investment. Given its reliable battery life, it is a perfect fit for college students who have to go hours before they can find a decent spot with an outlet nearby. So if you are a student or even a professional, with a few extra bucks set aside for a classy tablet, you just found what you were looking for. Only a few large tablets can fall into the category of an ‘all-rounder laptop’ because that means it should possess the reliability and sturdiness of a PC along with the sleekness of a tablet. So far, the Galaxy Book 10.6 with reasonable price and fulfilling features, is undoubtedly a step up from its forerunners. Unlike other 2-in-1 laptops/tablets, it doesn’t cost you an arm and a leg. A 10.6-inch 1920 x 1280 touchscreen display ideal for streaming pleasure and a 64 GB flash storage perfect for the safekeeping of your ‘want to watch’ list. The S Pen is a pleasure to use, mostly due to the perfect pressure sensibilities. All in all it’s a complete package, the pre-included keyboard and stylus transform it into a complete PC alternative. The machine doesn’t really make it to the top when checked for portability. Weighing 644g, it is a couple of hundred grams heavier than the same sized iPad Pro and can’t be carried around for extended periods of time. Samsung still has a long way to go for acing the keyboard cover design. The device is laid flat on the surface which leaves the user with aching wrists. Moreover, the port selection is quite limited and you are only left with a single USB-C connector for recharge and a micro SD card slot. 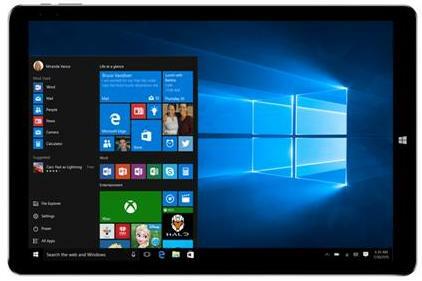 The device packs a frail Intel Core m3 processor and a limited 4GB RAM, which can only support softcore projects. It’s safe to say for large 3D projects or multi-tasking, you’d be needing a bigger, better gizmo. Costs $476 but there are not a lot of reasons to pick this device over its other similarly priced competitors. Depends on what kind of a user you are. If you heavily rely on media manipulation, have a creative side, or need to work on several apps at once, Samsung Galaxy Book isn’t a powerful enough choice. As for light domestic or educational uses, it’s a reasonable pick. S-Pen included within the box. If you need to acknowledge Samsung Galaxy S4 in a single phrase, try ‘the best HDR tablet available to date’. 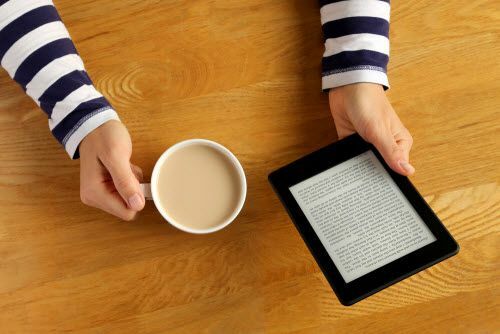 The Android tablet is able to represent high-quality content better than any other of its competitors, and can also be considered as a step towards creating a next-gen large tablet. It comes with an upgraded S pen that can transform the device from a tablet to a canvas. The added stylus accessory surely turns the competition up a notch for Apple. The vibrant, razor-sharp display can make any binge-watchers eyes sparkle, and that too with four powerful speakers to a complete the cinematic experience. An internal 64 GB storage – expandable with an extra 256 GB, adds more flexibility it and takes off the pressure of spending more to get extra storage. A contemporary Snapdragon 835 chipset and Vulkan API, is a gamers dream come true in a tablet. The battery stand-up time lasts from 10-12 hours and the 8MP front facing is good enough for face-timing but nothing more. Having to spend excess bucks on a keyboard kind of takes away the purpose of 2-in-1 tablet. 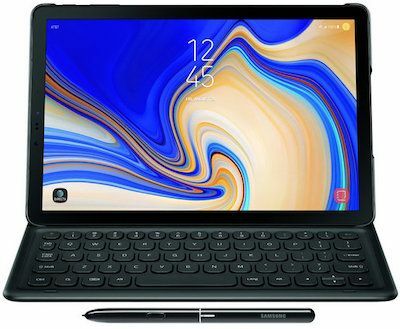 For $647, the Samsung Galaxy Tab S4 is probably the best Android tablet to buy right now as it checks all the boxes in our best large tablets list. Yes, those who want cinematic gaming heaven and a true portable workhorse, the Galaxy Tab S4 is a perfect choice to go for. A complete Windows 10 PC alternative, only with a sleeker body and much much more portability. The Huawei Matebook embodies an eye-catching chassis but lacks robustness in processing. Equipped with an Intel Core M3-6Y30 chip, the Huawei Matebook stays as cool as a cucumber even without a fan less architecture. Sleek design adds portability and the lightning fast fingerprint sensor gives off a futuristic vibe. The 128GB SSD and 4 GB RAM on board is quite speedy and the vibrantly sharp screen has to be its best trait. The audio results are too good to be true. Playing music on this thing is a total pleasure. Doesn’t come along with a keyboard and a stylus which integral parts to ‘have’ for rightfully calling a tablet, a PC replacement. There also have been several user reviews regarding application lagging and less than seamless operability. Core M processors, are not really Intel’s strong suit when it comes to power and speed. Moreover, you’d be needing a plug-in outlet quite frequently as the standby time lasts 6 hours at the very best. $423 doesn’t sound so extravagant but isn’t too affordable either. Nevertheless, for the mentioned price tag there is room for improvement. Better options available in the 2-in-1 tablets clan, and that too within the same price range. Saved only by the blingy appearance, comfortable keyboard and advanced stylus. A perfect alternative of laptops and TVs for theatrical pleasure. 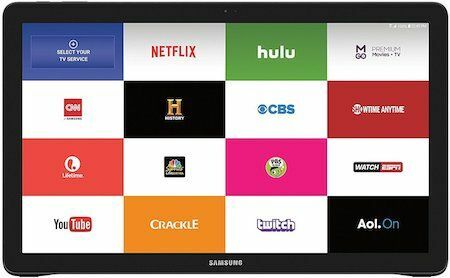 Samsung Galaxy View is an Android 5.1.1 creation, invented mostly for Netflix lovers but somehow lacks the qualities of a ‘smart’ device. Packs a vibrant screen and an upgradable micro-SD card option. Equipped with Samsung’s very own Exynos 7580 Octa SoC with 8 Cortex-A53 cores clocked at 1.6 GHz as well as 2 GB memory. The specs sum up to provide some decent horsepower. The gaming experience is quite satisfactory. The tablet performs browsing, typing and streaming without any stutters and is the most portable form of a TV one can hope for. Cheap design is a huge turn-off for Samsung Galaxy view. The shoddy plastic back-holder slaps against its body like a seal, though it does allow users to fixate it in two positions. Then there is the limitation of viewing only in landscape mode. Plus, the over 5-pound weight makes it even less portable and more confined to a single place. Let’s say for $400, it doesn’t really check all boxes. For this price, users expect a lot more than just a TV alternative, and that is not even a proper replacement. Depends entirely on your usage. It is easier to carry around from room to room but that’s about it. If your sole purpose is to get a better viewing screen than a laptop or are tight on space for a real TV then it’s a good choice, otherwise a sure ‘skip’. The Lenovo Tab 4 might not be considered as a breakthrough invention in the smart tablet market, but it does inhabit the qualities of a decent Android 7 Nougat tablet. Both 8 and 10-inch models of Lenovo Tab 4, come with mentionable upgrades from the previous releases in the line. With Qualcomm Snapdragon 425, the two-in-one convertible comes with a 2GB RAM, which sounds like reasonable specifications considering the more than affordable price tag. The 2MP front and 5MP rear camera, are adequate enough for standard video calling and conferencing. The standard 8 and 10-inch tablets have a 1200 x 800 Resolution IPS screen, with 89ppi and 149ppi respectively. To top it off, there is a high-quality audio mechanism, all credited to Dolby Atmos stereos. The battery standup offered by Lenovo tab 4 is the best among its competitors in the same price range. Let’s just say you won’t be missing your charger very much till good 11 hours. Under powered, and the lack of processing capability and storage takes professional usage out of the equation. The display is good, but not best. Certainly misses elements like sharpness and color clarity. This is a neat choice for domestic usage. The added Special Kids mode makes it child-friendly and its budget friendliness makes it even more family focused. 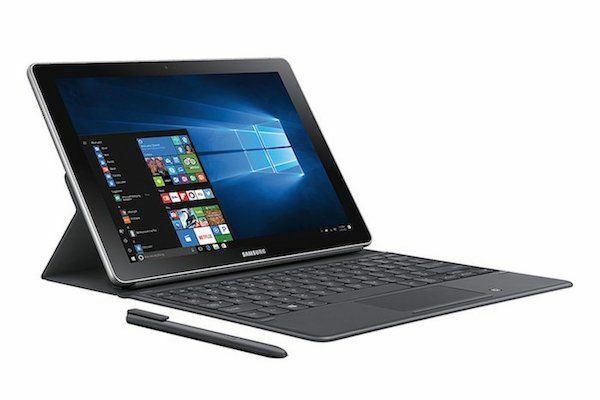 Inspired massively from Samsung Note smartphone and tablet line, the Galaxy Note Pro 12.2 offers a very similar experience to Note 10.1 2014 Edition. Samsung has made sure to load this device with a bunch of office applications to attract users from the professional sector. The large 12.2-inch display translates to a high pixel density of 247 ppi. The included S Pen stylus is a mentionable rejuvenation that is built with pressure sensors. The added USB 3.0 port makes it possible to transfer files with bolting speed and also provide fast charging through a cable. The built-in 32 GB memory is sufficient enough for moderate tasks, but for more advanced usage there is always the option to bump it up via a memory card to 64 GBs. The chassis is too bulky to carry around, let alone use it with a single hand. Apart from the heavy body, the low brightness of screen makes it even less suitable for outdoor usage. The design is an overhaul from the previous monotonous glossy surfaces but not majorly innovative either. 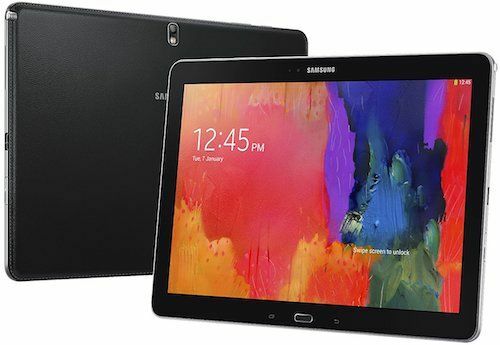 You can get the Samsung Galaxy Note Pro 12.2 for around $500, but if you compromise a little on screen size, you can easily save up to $150 and go for Note 10.1 2014 that which comes with almost the same features and specs. As an overall verdict, it’s not an impressionable device. Good for media consumption but if this invention vanishes into thin air, I am sure nobody in the tablet market would even notice. It’s safe to say, that for such extravagant price we expect more. Plus, no one wants to pay half a grand and purchase wrist fatigue caused by its hefty build. Consider Hi13 a cheap knock-off of Microsoft’s Surface Book 2-in-1. If you crave Surface Book’s interface, resolution and pen accessory, this serves as a good alternative. As from performance viewpoints, the specs are chopped in half just like the price on its tag. The display is absolutely gorgeous; a 13.5-inch screen with 3,000 x 2,000 pixel IPS 10-point touchscreen display. A 4GB RAM sounds promising for a friendly rate (though not exceptional), backed by a 64 GB storage. HD Graphics 500 integrated GPU might up your League of Legends game. To add a cherry on top, Hi13 is one of the few tablets which includes USB-C charging, paired with a micro-USB port, solely for connecting mobile devices using the USB On-the-Go cable that comes with the box. To maintain a cheap price, the hardware specifications have been compromised massively. Chuwi built its Hi13 around an Intel Celeron (“Apollo Lake”) N3450 that Intel launched in 2016. The device is also about three-quarters of a pound heavier than its inspiration – the Surface Book, which makes it unwieldy to carry. The battery backup could have been improved to provide more than 7 hours of juice. For $370, Hi13 is more than capable of seamless browsing, streaming and gaming. Though the hardware has been compromised but not that we are complaining, considering the price tag. 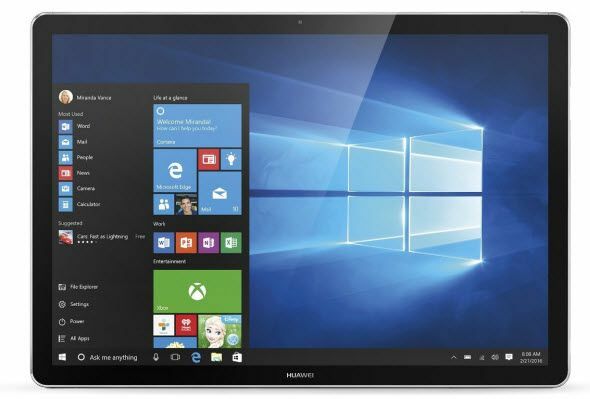 A decent Windows tablet, with smart design which falls within the price range of almost everybody and fulfills basic user needs. I would definitely recommend this one to light-pocketed techies. These were our top picks for best large tablets from the market, we discovered every possible pros and cons of them so that you can make an informed decision. However, before you make a buy, we recommend you to first list out your requirements and power you need for your work. For instance, if a stylus is your primary concern then you can go for iPad Pro or Galaxy Tab S3. 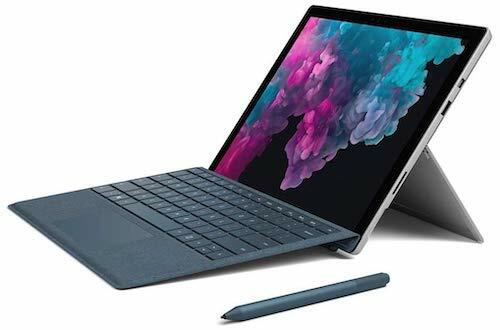 If you deal with business applications and keyboard is your primary concern then the Mircosoft Surface Pro 4 is the tablet you should look forward to. Hello, I’m looking too spend up to $500 on a tablet. I would likeconecover 10.inches getting older. Lol I’m using it for movie streaming and on line poker. Any suggestions?? 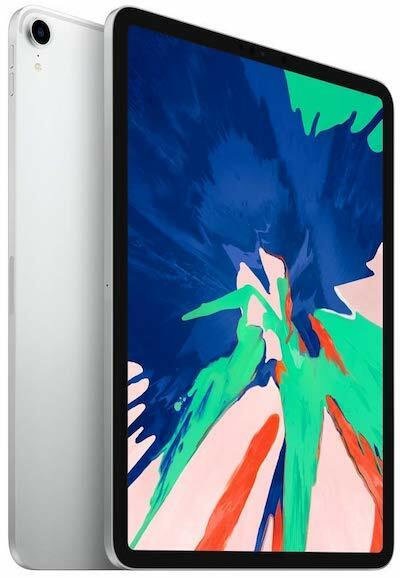 Get the iPad 2017 Model which has 9.7″ display with 2048 x 1536 resolution. It will be perfect for online movies streaming and gaming. Get a Pro 12. Model CT9223W97DK. These were originally sold as an RCA, and are now being sold through Walmart as a Pro 12. You can find these used on eBay in good working condition usually for under $150. I’ve bought 4 of them so far, some for as little as $80 in good working condition. 12″ screen with full keyboard that can be detached, 64gb of internal memory!!! and an SD slot if you need more. I originally bought these for my kids because they download so many games, their tablets get sluggish and need more internal memory. These are Android 6.0 tablets, but because of the detachable keyboard it is more like a mini laptop. Turns out they were so nice, I bought one for myself.